a more advanced version of the popular Duffey fest with A slightly longer approach leads to your basecamp location with pre-established tents. Basecamped for 3 nights and 4 days in the backcountry near birken. 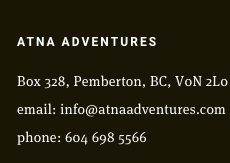 this trip with ACMG Ski Guides and Canadian Avalanche Association professionals takes you ski touring in remote terrain. Though Guided, you'll still have to fend for yourself in these backcountry wilds as you learn to lead and observe. Come build your skills, meet others and absorb mountain knowledge and lore. THANKS FOR THE GREAT TRIP. FEELS LIKE I’VE LEARNT A LOT. There will likely be opportunities to pair up with food buddies for cooking. Basecamp Gear Includes: dome tents, MSR stoves and fuel (3 total for trip). Sleeping tents will be pre-arranged for those renting; no need to carry a tent. Rental Sleeping bags must be carried in and out. Each of the three evenings will offer opportunities for story telling in the glow of our makeshift 'lodge'. Such telling of stories is a great way of passing on experience, developing bonds and learning. In this way you maximize the learning opportunities from a 4 day trip. It's also a great way to develop winter camping experience. Please come with good fitness. Ability to walk a slow or steady pace all day and comfortably exist in the mountains for 4 days. 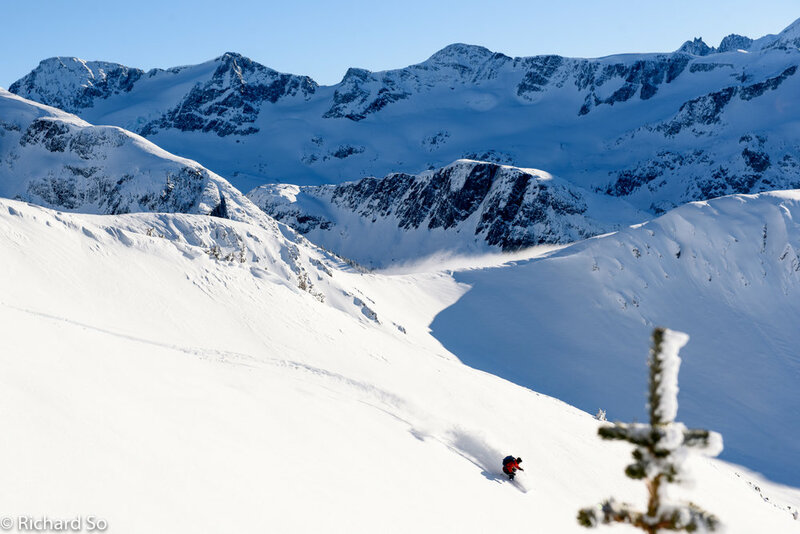 Expect minimum 600m of elevation per day and to ski black diamond runs or harder in variable conditions. Topics will range but will follow a theme each day. The learning experienced is designed to meet group needs, questions and to flow organically. Topics will likely include track setting, reading the mountains (developing your mountain sense), group management in avalanche terrain, human factors, navigation, how to develop your experience, etc. 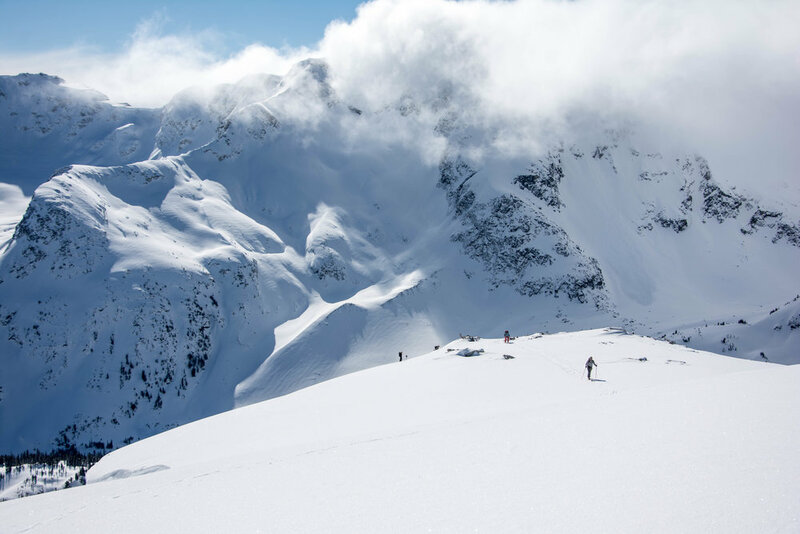 Similar to the Duffey Fest, the guides will aim to provide further leading opportunities and coach you in more complicated areas of backcountry travel. We'll likely dig pits, pull out compasses, jump hard on snow features and shred the gnar while we're at it. We'll meet at Pemberton's Mount Currie Coffee company dark & early to meet and greet and then shuttle to the trailhead up the Duffey Lake Road. Please have winter tires if you intend to drive. After hiking into our camp location we'll run through some avalanche basics before heading out for an afternoon ski. An early-ish wake-up will ensue with breakfast and a full day in the mountains with an ACMG guide. This is where we'll range a little further, maybe bag a peak and delve into a spectrum of informal topics. The learning topics will be aimed to pass on knowledge in a mentorship fashion and also addressing what the group wants to learn. The evening will be spent reflecting and here we might jump into the questions of risk and decision making. Things might get heavy, we might have good laughs, come with an open mind and open heart. This is a repeat of day 2 with opportunities to explore further and gain more knowledge, push ourselves or learn where not to push too far. In the morning we'll sadly pack up the tents despite having found new pleasure in the routine. We'll leave the heavy gear to head out for a final loop tour. After a great final few sessions we will pack up the gear and head out to the car. We'll have a small course close and potentially head to Mile One for a tasty bite of civilization or we'll scatter like the wind! You'll need to provide your own food. We'll help you coordinate with food buddies to share cooking duties and cooking equipment.